How long has carpet been around? Where is the "Carpet Capital of the World"? Today’s Wonder of the Day was inspired by efren. efren Wonders, “i wonder how carpets are made” Thanks for WONDERing with us, efren! Where do you like to do your homework? Some kids may have desks in their bedrooms at home. Others may spread their books out across the kitchen table while their parents cook dinner. Still others enjoy throwing a few pillows on the floor and lounging on that warm, comfortable surface we all know and love. What are we talking about? Carpet, of course! Whether it's sliding out of bed on a cool, crisp winter morning or relaxing in front of the television to watch a movie, there's nothing quite like the warmth and softness of carpet under our feet and bodies. Many of us take for granted the plush carpeting in our homes that comforts our feet as we walk across it daily. Imagine what it must have been like for prehistoric human beings who took shelter in primitive caves. What would it have felt like to walk, sit, and sleep on nothing but cold, hard rock? It probably didn't take long before ancient humans began to use animal skins, plant leaves, and other soft materials to line the floors of their caves. Were these types of materials the first carpets? No one knows for sure. We do know, however, that carpet does have a long and interesting history. Historians have found evidence of animals, such as goats and sheep, being sheared for hair and wool that could be spun and woven over 9,000 years ago. Knotted-pile carpet rugs are thought to have developed in western Asia 4,000-5,000 years ago. The oldest carpet ever discovered is the Pazyryk carpet, which is a pile carpet rug discovered in a Siberian burial mound in 1949. Experts believe it is over 6,000 years old, dating back to the 5th century B.C. Preserved in ice for thousands of years, the Pazyryk carpet features rich colors in a dense pile of symmetrical double knots. In the United States, the earliest carpets were large rugs made of woven wool. Using large looms brought from England, woven carpet mills began to develop in cities along the East Coast. In fact, the U.S. carpet industry got its start in 1791 when William Sprague started a woven carpet mill in Philadelphia, Pennsylvania. The industry continued to expand over time, as technology allowed high-quality carpets to be manufactured quickly. Wall-to-wall tufted carpets like we enjoy today have their own unique history independent of their woven wool predecessors. In fact, they got their start as handcrafted bedspreads in the small town of Dalton, Georgia. Around the turn of the 20th century, a young woman in Dalton named Catherine Evans Whitener made a handcrafted bedspread as a wedding gift. Using a quilt pattern she had seen, she sewed thick cotton yarn onto unbleached muslin fabric. To make the bedspread softer, she clipped the ends of the yarn, so that they would fluff out. Over the next several decades, her process for making bedspreads became extremely popular, and entire families began to make a living by hand-tufting bedspreads. Demand for these bedspreads was high and spread to large cities around the U.S. Income from making bedspreads helped many Dalton-area families survive the Great Depression. Eventually, machines were developed to automate the tufting process. Mills sprang up in and around Dalton, and new products were developed, including broadloom carpets. After World War II, new synthetic fibers were developed to replace wool and cotton, including polyester, nylon, rayon, and acrylics. Today, tufted broadloom carpets made of synthetic fibers account for over 90% of the carpet market. Dalton remains at the center of the carpet industry, producing over 70% of world-wide carpet output. That's why Dalton is known as the "Carpet Capital of the World." Better grab a snack before you head to Wonderopolis tomorrow! Do you have carpet in your house? Chances are that, somewhere in your house, there's probably some carpet or a rug. Find some carpet today and examine it up close like you've never done before. Get down on your hands and knees and use a magnifying glass to investigate its structure. Can you see how the individual pieces are looped and twisted? Have fun learning more about your carpet! Have you ever been to a carpet store? Find one to visit today! Ask an adult friend or family member to take you on a field trip to a local carpet store or the carpet section of a home improvement store. Check out the wide variety of carpets available. How many different types can you find? Which ones do you find most appealing? Why? What factors seem to influence the price of carpet? If you could choose any carpet for your room, what would you choose? Why? Feeling crafty? You can add some life to your current home décor by creating your own area rugs. Jump online to check out 5 Unique DIY Area Rug Ideas. With help from an adult friend or family member, choose a project and have fun making your own homemade carpet for your room! 😊 You flatter us. Thanks, Jamarion! We just love to Wonder so we are glad you do, too! how come in almost every Wonderopolis wonder, you have to say "We are talking about -blank- of course!" ? This article wasn't very good, but I was wondering if anyone knew who the other was? why are carpets so important to us. Do carpets collect germs ? hi whats up i am marley what is your name i am 15 years old my birthday is june 9 i can't wait to pass my driving test and get to drive a car lol!!!!!!!!!!!!!!!!!!!!!!!!!!!!!!!!!!!!!!!! Can people be allergic to carpets? Omg! This is super interesting! Since my grandfather has been in the carpet business (because it runs in the family :D) he found this amazing! Thaaaaaaaaaaaaaaaaaaaaaaaaaaaank you so much for this too-good-to-be-true article! 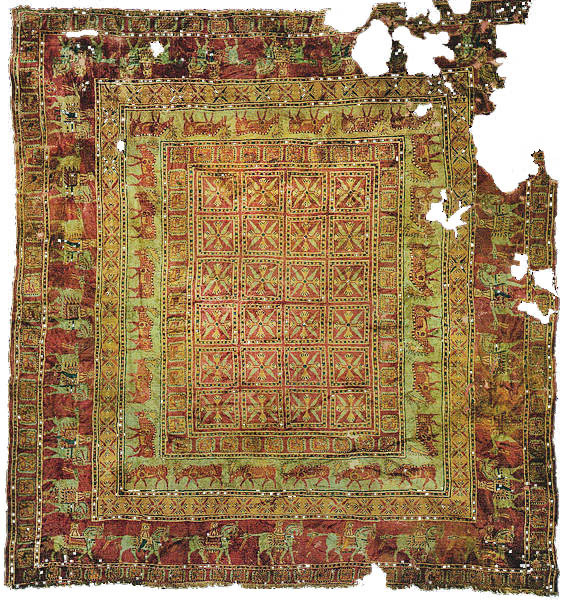 The oldest known carpet, the Pazyryk Carpet, was found in Siberia and dates back to when? b1st century A.D. Not Quite! c2nd century A.D. Not Quite! d3rd century B.C. Not Quite! The United States carpet industry got its start in 1791 when William Sprague started a woven carpet mill in what city? The modern U.S. carpet industry got its start in and is still centered around which city in the state of Georgia?